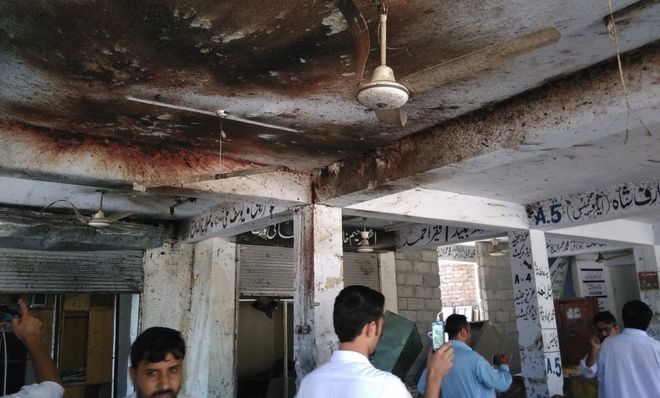 On Friday, September 2, 2016, at least 14 people, including lawyers and policemen, were killed while more than 50 wounded when a suicide bomber detonated his explosives near the entrance of District and Session Courts in Mardan. The suicide bomber also hurled a hand grenade before exploding his suicide vest. Earlier on Friday, at least four terrorists were killed during an encounter with security forces in Christian Colony area of Peshawar. Additionally, a civilian was killed and five others, including three security personnel, were wounded in the exchange of fire. According to security officials, the perpetrators might have been attempting to infiltrate into an adjoining security installation – Military Cantonment – by exploiting the fragile security arrangements in the residential area. Jamaat-ul-Ahrar (JA), a splinter group of the banned Tehreek-i-Taliban Pakistan (TTP), claimed responsibility for the attacks in Mardan and Peshawar. Prime Minister lauded the security forces over the successful operation against the militants who attacked the Christian Colony near Peshawar.